It’s all about choices and alternatives. While not a lot of Internet users surf with the Chrome browser – research indicates it’s only 5 percent – the announcement represents a major step towards strengthening the company’s two operating systems, the Android (available for mobile phones and smart phones) and the Chrome OS (a soon-to-be-released system for netbooks and tablets). The move also marks a sharp opposition to Apple, a company which supports only HTML5 in its devices, such as the Apple iPhone and the upcoming Apple iPad. 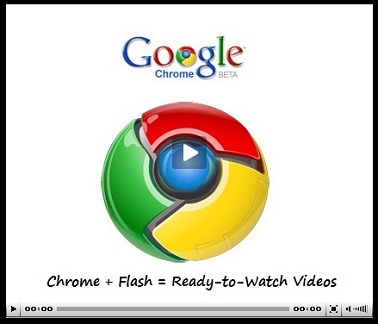 The integration will feature automatic updates to the Adobe Flash player as part of updates to Chrome. Google also says that it will work with companies like Adobe and Mozilla to develop a next-generation browser plug-in API to address the problems of the current browser plug-in model. What does this mean for Internet marketers, businesses, and publishers? More than you think. Yes, it’s true that anyone who doesn’t have Flash can simply download it. With the integration, however, Google is showing that it’s ready to present more choices for users and for people looking to deliver rich Internet applications. In contrast to Apple’s exclusive support for HTML5, Flash integration to Google’s Chrome browser demonstrates that the company will not decide which technologies it will support, but will focus rather on developing the Internet based on openness and the availability of alternatives. The integration is also bound to strengthen the current plug-in system and allow web developers to create a more powerful and secure Internet experience. Moreover, Google says it hopes to encourage more innovation in both the HTML and plug-in landscapes.